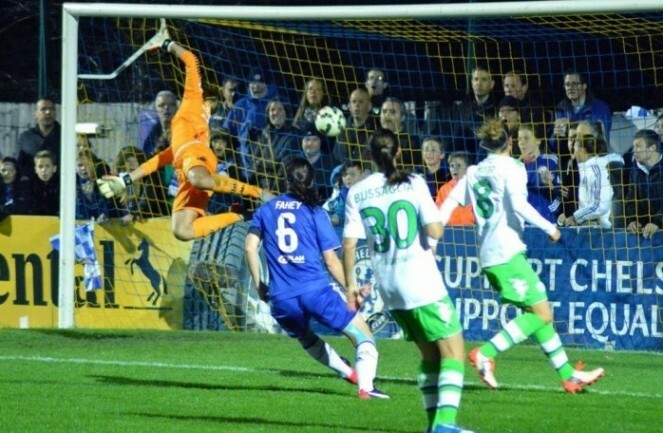 Chelsea Ladies went down 2-1 to Wolfsburg in their Champions League home tie and dented their chances of reaching the quarter-finals, but if we know anything about Emma Hayes Chelsea side they are great fighters. It was always going to be difficult for Chelsea, after the euphoria of winning the WSL1 a lay off of four weeks without a competitive match, to be up against Wolfsburg who are in mid season. Chelsea started slowly and after just 3 minutes conceded an own goal when they failed to clear a free-kick and Nilla Fischer’s poked shot was deflected in by England left-back Claire Rafferty. Wolfsburg have won the competition twice in the last three years and they proved a handful for Chelsea, pressing them high up the pitch and nullifying their usual passing game, but the lead was still just 1-0 as they went in at half time. 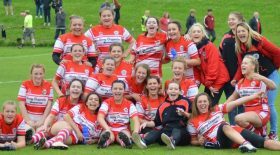 Chelsea started the second half brightly and just eight minutes in their pressure caused Babett Peter to head into her own net and level the score. The Blues were playing a lot more fluently although the contest was more feisty than usual and resulted in five yellow cards: Flaherty, Bright, Ji for Chelsea and Popp and Bachmann for Wolfsburg. Just before the hour mark Wolfsburg made the substitution that would make the difference, Caroline Graham Hansen came on for Alexandra Popp and it was her low finish, just twelve minutes from time, that gave the visitors victory. It was a cruel blow for Chelsea as they were made to rue their missed chances. Chelsea now go into the second leg knowing they must now score at least twice, they definitely have the fire power to do that and now they will know exactly what they are up against. 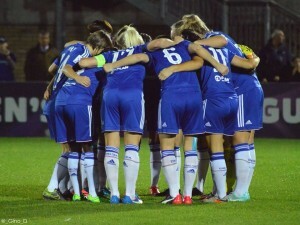 Chelsea: Lindahl, Bright (Coombs 80), Flaherty, Fahey, Davison, Aluko, Ji, C Rafferty, Kirby, Borges, Chapman (c). Subs not used: Hourihan, Coombs, Brett, Ayane, Spence, L Rafferty, Farrow. Wolfsburg: Frohms, Fischer, Peter, Blasse, Popp (Graham Hansen 58), Maritz, Bernauer, Bachmann, Dickenmann (Jakabfi 81), Goessling, Bussaglia (Pajor). Subs not used: Burmeister, Jakabfi, Wullaert, Bunte, Wedemeyer. 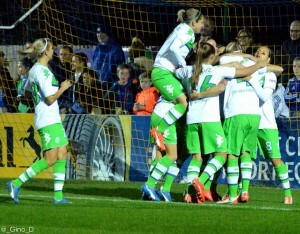 The second leg takes place next Wednesday 18 November, in Wolfsburg 3pm kick-off (UK time).